Robert Oye is the Best of the Best! 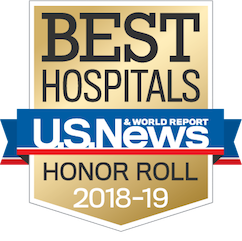 Robert Oye is the best of the best doctors—and you know that is pretty impressive considering that the UCLA doctors are the best in our UCLA experience of over 45 years. Who else would put up with us that long and still be always smiling, warm, personable and positive (no, I’m not talking about Lionel Richie!) while others may think, you are just non-compliant, don’t take care of yourself, overweight, diabetic… He listens, encourages, gets me to make a genuine effort, looks out for me and my well-being so that my health is in good order… Recently he “saved the day” when he just happened to come visit me in the hospital (most of the doctors let the hospital doctors handle everything). Good timing--I was so stressed that I thought that the police were after me. Despite many efforts by others who said more drugs, restraints, call psych, Dr. Oye immediately calmed me by simply saying, “I agree with what the doctors are doing…” Everything went well from that point onward for my heart surgery and recovery. Thanks a million from SL and VJ!